Villa's Adult Day Programs serve people needing assistance in all aspects of daily living and provide meaningful activities for our adults including socialization, art projects, holiday celebrations, community service, and much more. Villa has 2 different programs that cater to a variety of support needs with anywhere between a 1:1 to 1:6 staff to client ratio. Click through to learn more about each of Villa's Adult Day Programs. 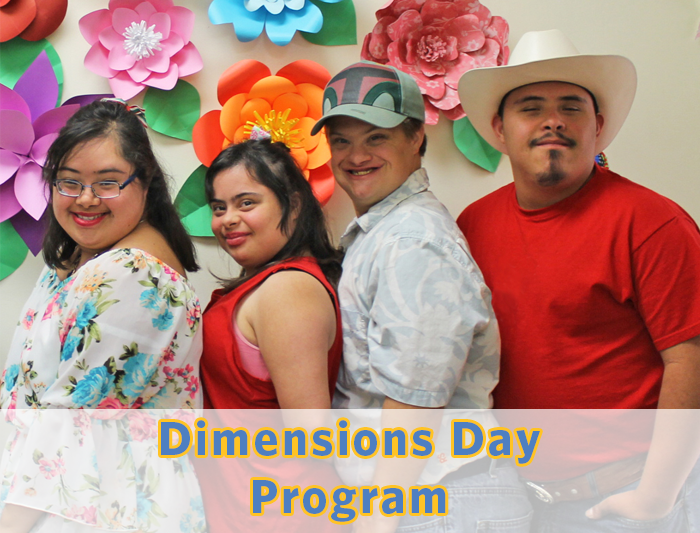 The Dimensions Day Program (Dimensions) is designed to develop and maintain an individual’s functional, cognitive, and behavioral skills required for successful integration in the community. Dimensions serves adults 18 years and older with intellectual/developmental disabilities who no longer qualify for public school funding. 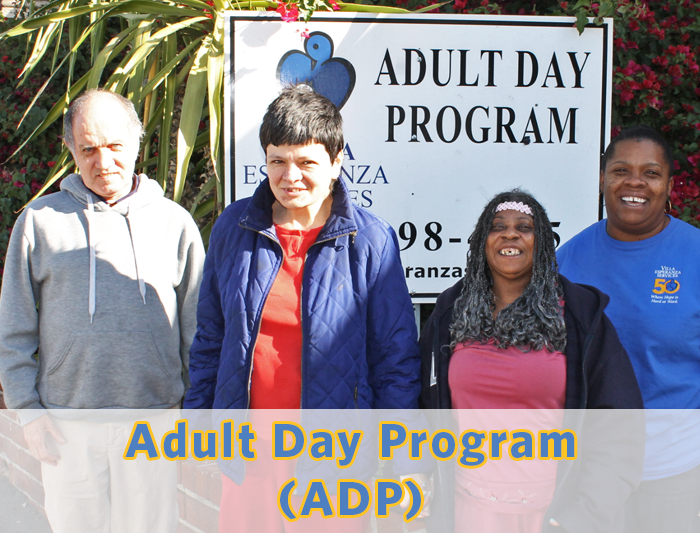 The Adult Day Program (ADP) is tailored for adults 18 years and older with physical, mental or developmental challenges and provides Licensed Vocational Nurses to help meet the medical needs of our ADP participants. ADP offers a variety of services designed to maintain an individual’s independence and decrease social isolation.